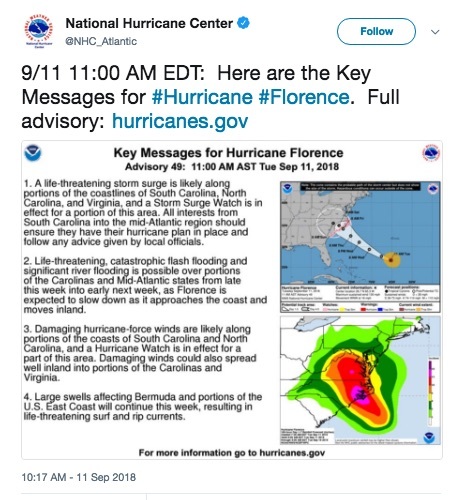 Hurricane Florence is predicted to hit the mid-Atlantic region of the East Coast this week. On Monday, the National Hurricane Center ranked it a Category 3 hurricane, and later, a Category 4. Forecasters say it now has maximum sustained winds of about 130 mph and even stronger gusts. Hurricane Florence is supposed to hit the coast of North Carolina, South Carolina or Virginia. All three states have declared states of emergency. But, its impact could affect anywhere from northern Florida to north of the Washington, D.C., and is expected to produce life-threatening conditions. 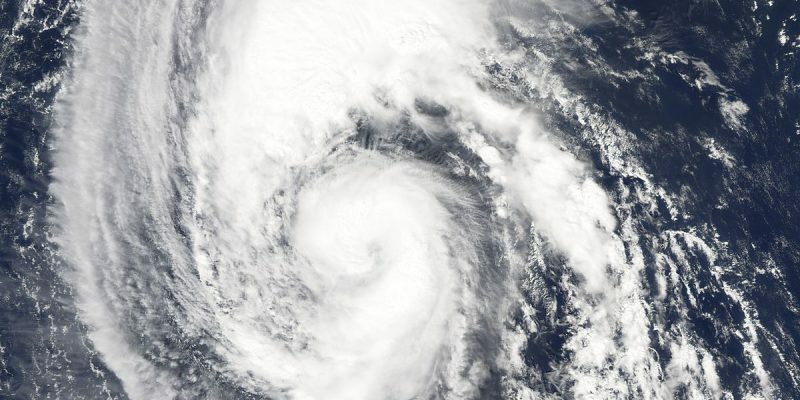 The eye of the storm is about 575 miles southeast of Bermuda and 1,230 miles east-southeast of Cape Fear, N.C. It’s moving west at 13 mph, the NHC said. Florence is expected to approach the Carolina coast Thursday. Florence is the first of three hurricanes brewing in the Atlantic — ahead of Helene and Isaac. Peak hurricane season is from mid-August to mid-October, with a peak date for the season, on average, of Sept. 10, the same date Hurricane Irma struck Florida in 2017.